Internships are an exciting feature of the postgraduate degrees offered by the Department of Social Science, Health & Medicine. They provide students with the opportunity to gain work experience and expertise in an area of their interest. Internships are structured periods of time that students spend in a selected range of partner organisations and institutions. During the internship – which lasts a minimum of 15 working days – students contribute to a specific project or area of work that is relevant to their course of study. 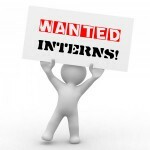 Internships broaden the horizons of students and increase their employability. Especially when combined with a dissertation, internships can become an attractive and exciting part of student research projects, in addition to being an important step towards a future career. Internships are taken as an optional module of 20 credits at the Department of Social Science, Health & Medicine. Students are required to write an internship report of 3,000 words. In addition to the internship itself, students will attend 8 skills-based seminars run by the King’s College Internship Office. You can find more information about the Internship module here. The Department of Social Science, Health & Medicine has developed a portfolio of internship opportunities for its post-graduate students, and King’s Internship Office will do everything possible to assist students locate an internship. However, it is ultimately the responsibility of the student to secure a placement.